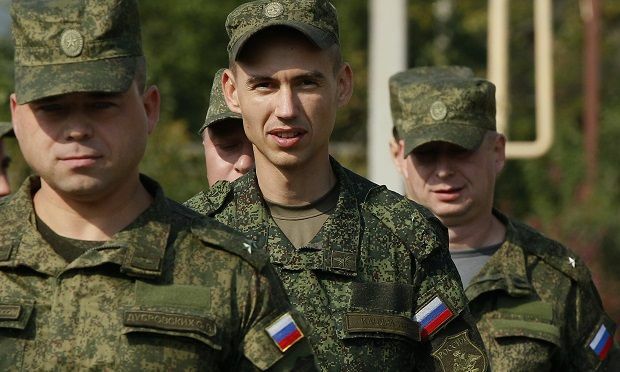 About 300-320 Russian mercenaries have been spotted in the north of the town of Horlivka in militant-controlled area of Donbas, according to the Information Resistance Group. According to the report, the militants of several units are in the second echelon, equipped with trucks and armored vehicles – there are at least 12 armored combat vehicles. 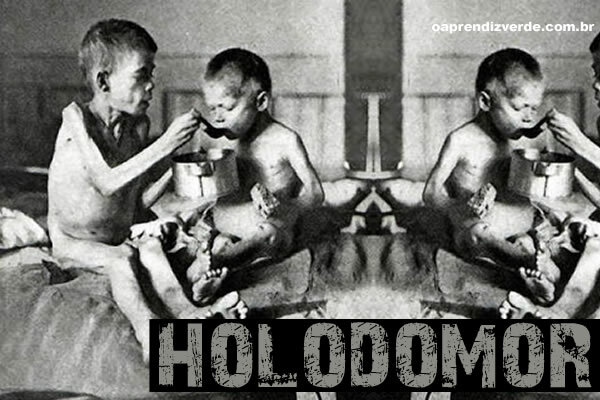 Eighty years ago, millions of Ukrainians died in a famine that many label a genocide by the Soviet regime of Joseph Stalin. As Ukraine prepares to embark on its annual memorial events, the BBC's David Stern finds that memories of the massacre are undimmed for many. Kiev and the West are winning. Now is not the time to let Moscow off the hook. Whatever the larger goal of Russian President Vladimir Putin’s armed intervention in Syria, it has succeeded in distracting the world’s attention from his ongoing aggression in eastern Ukraine. In his half-hour speech at the United Nations earlier this month timed to reach a prime-time Russian audience, he spent only a minute on the Ukrainian conflict, focusing instead on Russia’s constructive role in the Middle East. ASTANA (Reuters) - Ukrainian President Petro Poroshenko struck a conciliatory tone on Friday in his comments on Russia and Moscow-backed rebels during his visit to Kazakhstan, the Kremlin's ally in Central Asia. On October 11 the situation in the ATO area remained relatively stable, Joinfo.ua reports referring to the ATO press center. But the militants still broke the truce a few times. Thus, at 22:55 the mercenaries fired on Ukrainian positions near Shirokyne village. 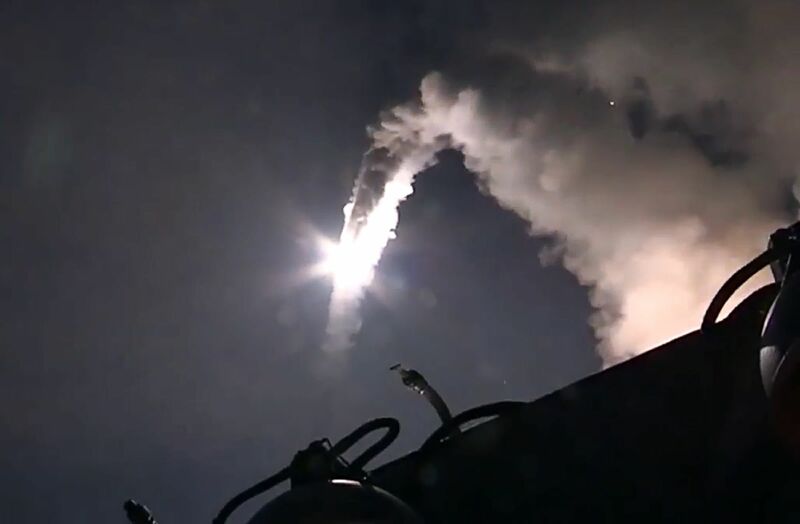 WASHINGTON (AP) — As many as four of the 26 long-range cruise missiles that Russia said it fired at Syrian targets landed instead in Iran, U.S. defense officials said Thursday. BRUSSELS (AP) — NATO talked tough Thursday about Moscow's expanding military activity in Syria, but the U.S.-led alliance's chief response to the Russian airstrikes and cruise missile attacks was a public pledge to help reinforce the defenses of member nation Turkey if necessary. "NATO is able and ready to defend all allies, including Turkey, against any threat," alliance secretary-general Jens Stoltenberg declared at the onset of a meeting of NATO defense ministers. Washington to remain sanctions against Russia-occupied Crimea until the peninsula is returned to Ukraine. US Assistant Secretary of State for European and Eurasian Affairs Victoria Nuland said this at a Marshall Fund meeting. 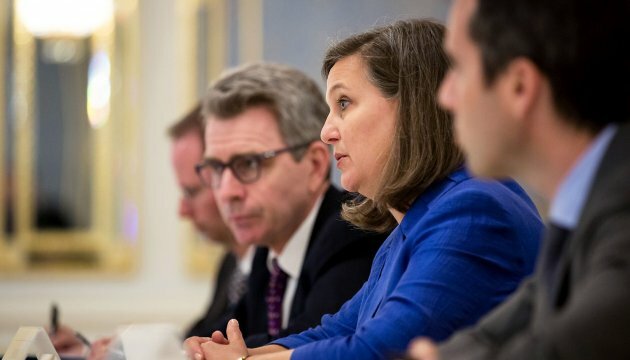 “The Crimean sanctions will remain until its [Crimean] occupation lasts,” Nuland said.